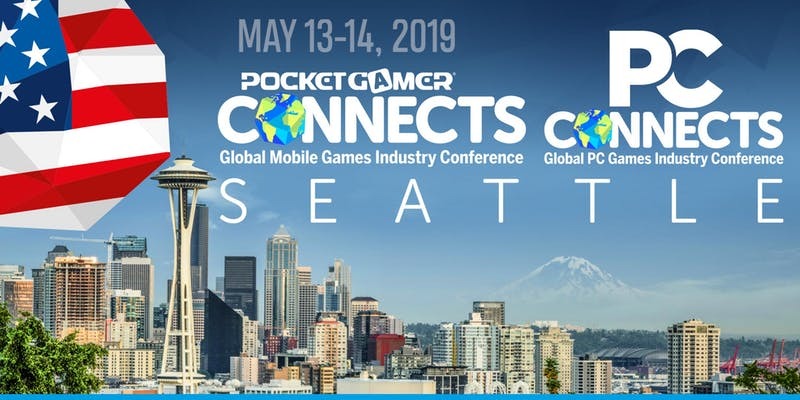 Leading mobile gaming industry conference, Pocket Gamer Connects, returns to the US in 2019 – and lands in Seattle for the first time. More than 950 delegates will gather for the two days on May 13-14 to hear from 150 of the world’s leading authorities from the mobile and PC gaming industries. Filling 10 wall-to-wall conference tracks across both days, they will share their expert insight on everything from live ops to monetization to the latest development trends. An exciting addition for this year is our shiny new dedicated event, PC Connects. Find out why 2019 will be the ‘PC revolution’ – and why everything you know is wrong. Detailing how and why the PC games industry will change significantly and forever are 50 speakers representing every corner of the ecosystem, who will educate and inspire through an agenda set to cover trends, marketing, publishing, development knowhow, and strategies to thrive in this evolving sector. As ever, the conference schedule will be packed with our trademark short, sharp seminars. With no time to waffle, our speakers get straight down to business – which is what you’ll be able to do too, networking with some 1,000 industry professionals. In 2016, we became the biggest dedicated mobile games industry conference series in Europe and have stayed on top ever since. Every event has been bigger and better than the last – and our US event continues to grow year-on-year. Not only have our previous delegates voted Connects the ‘best value conference’, but 97% would recommend it to a colleague and 96% tell us they’ll come back for more. Select your ticket above and follow the simple online booking system. Payment is required at the time of booking, so please have your credit or debit card ready. If you don’t have a credit or debit card, please see the alternative payment methods listed.